Under the sea! More sea-inspired collection. 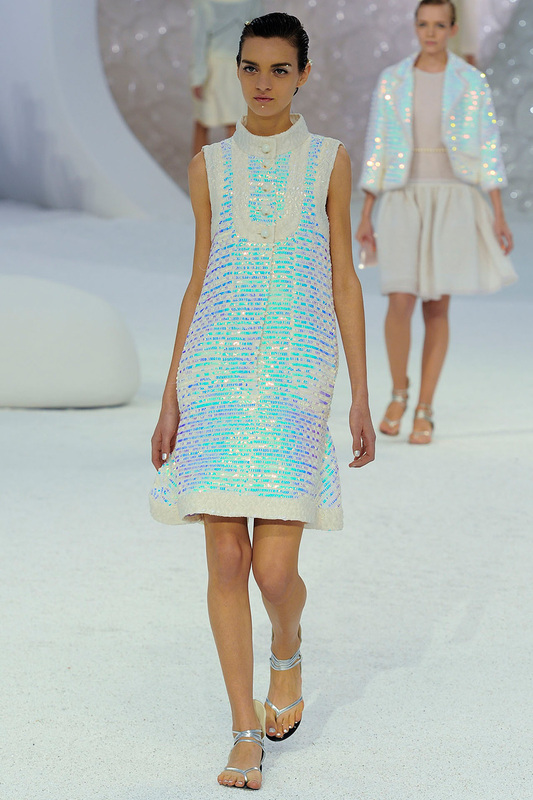 This Spring 2012 Chanel Collection is mainly based on what deep inside the sea looks like. My thought immediately went to sea creatures like sea-horse, clam, fish, coral, jellyfish and more! The ruffles are so fantastic and the colors are magical. 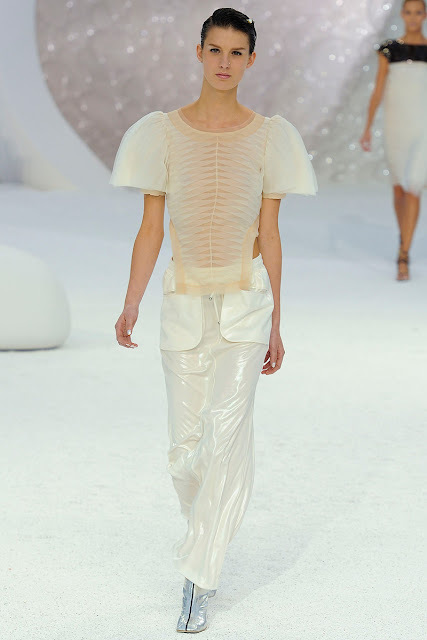 Although both Chanel and McQueen 's collection represent sea, each has individual charm and style. Chanel goes with the classy one. The Chanel way. That simple yet stunning way. This one is too lovely!!! I'm thinking of sea-horse right now! Miranda Kerr~ The wifey of my fave actor! Loving Chanel <3 and this collection is amazing! Thanks dear^^ would really love to join! Yes this season everything is magical! thanks! would really love to join!